Classic fairy tales are an essential part of children's development; if they are sometimes a little scary, it is because children need imagery to conjure and get rid of their fears in a symbolic, healthy way. 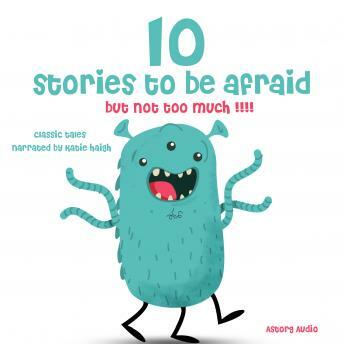 Our audiobook collection means to bring together the fairy tales, stories, myths and legends which have fed the children of many generations in the years when the imagination is awakening and craving stimulus and material to work upon. This compilation includes folk tales, classic tales by Charles Perrault and Hans Christian Andersen, and stories from the Arabian Nights. These stories all have in common the fact that they impress children in a healthy way, igniting the imagination and bringing healing emotions into light; but still, they are suitable for the youngest children, as their teachings are always brought up in a symbolic way. This audiobook presents you with the most famous and inspiring stories, narrated in a warm and lively way: The Three Little Pigs, Beauty and the Beast, Bluebeard by Charles Perrault, Snow Drop and the Seven Dwarves, The Frog Prince, Donkeyskin, The Little Match Seller, Tom Thumb, Ali Baba and the Forty Thieves, and Jack the Giant Killer.